What is the Exhaust Service All About? Your car’s exhaust system performs many important functions. It keeps your car running quietly, while efficiently removing spent exhaust gases from your engine. Weather conditions, salty sea air, road conditions and normal wear and tear take their toll on your car’s exhaust. Fortunately, routine exhaust service can identify and correct any potential problems that affect the main components. Most exhaust systems include a manifold that connects to the motor. Piping the motor routes the gas through a catalytic converter and then to the muffler before exiting via a rear or side exhaust outlet. Ideally, about once a year you should have your exhaust system serviced to ensure all parts will last at least another year without failure. Trained and experienced technicians can check your system for pinholes, loose brackets and hangers, and to ensure the catalytic converter is working as intended. The muffler needs to be in good shape to keep the engine noise as quiet as possible, while ensuring the protection from potentially harmful exhaust gases. When your car’s exhaust parts start to fail, performance lags, engine noise increases, and you start losing gas mileage. You also run the risk of running afoul of the law and getting cited for having a loud exhaust. Under the worst of circumstances, deadly exhaust fumes could enter the passenger compartment and possibly cause illness or death to passengers. Thankfully, a routine checkup ensures that won’t happen – barring a collision or other major intervening event. It also helps to prevent exhaust pollution and smog from impacting your local environment. While California is noted for its sunny skies and warm temperatures, salty sea air, extended rainfalls and snowy winters all attack your exhaust system, which largely is exposed to the elements beneath your car. 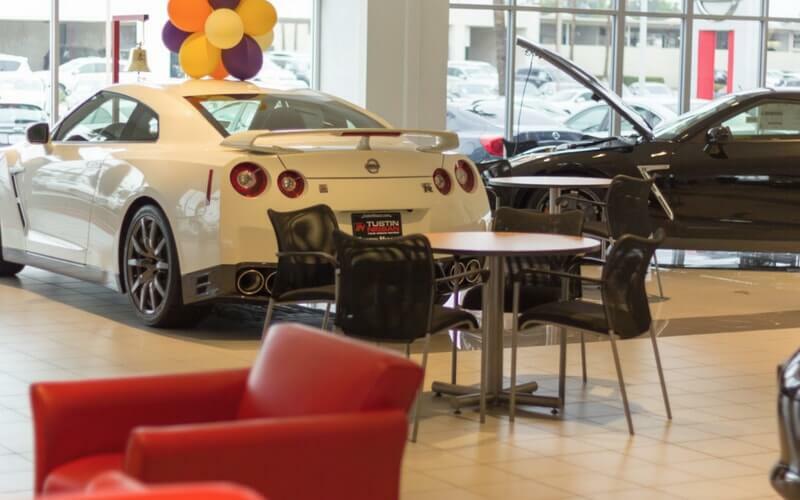 When you get your Nissan of Tustin performs the exhaust service, only genuine Nissan parts are used. 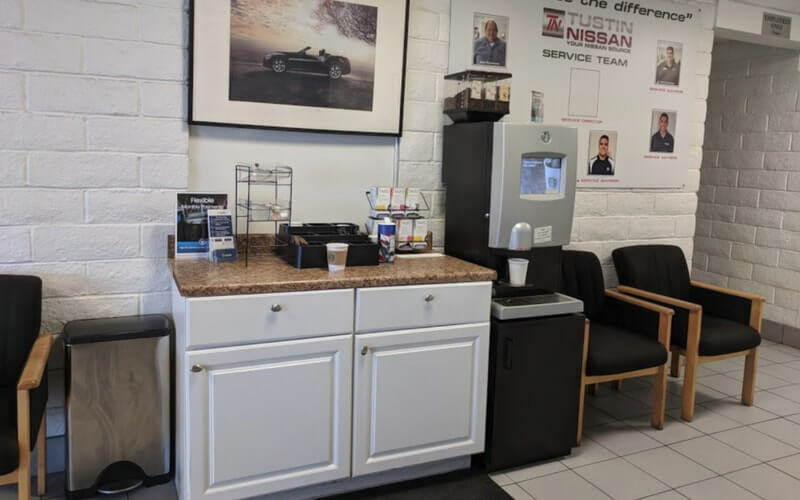 Those who own other makes and models also can benefit from great service by outstanding and certified technicians and mechanics who are among the best in Tustin, CA. 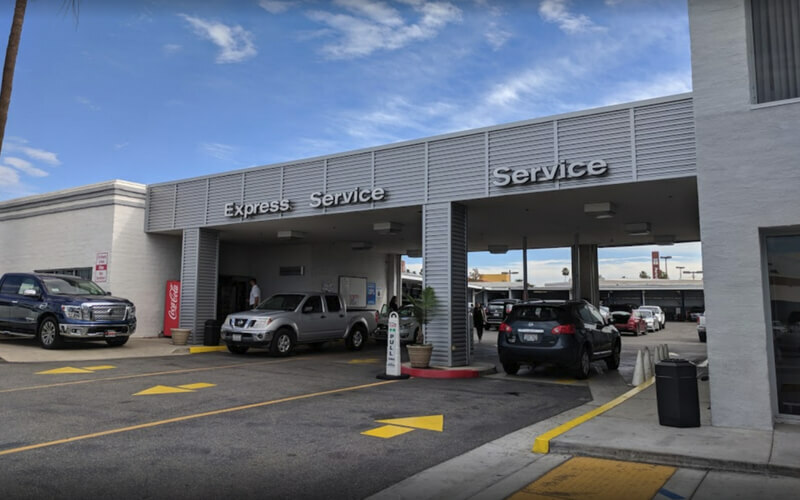 Those who live in Irvine, CA, and Santa Ana, CA, also can benefit from great exhaust service and other automotive services at one of the most respected and experienced automotive services in the area. 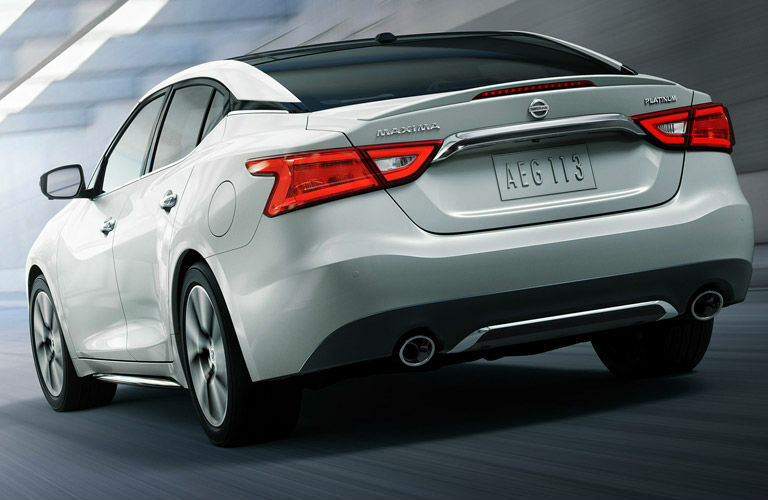 When working on Nissan vehicles, genuine Nissan parts are used to ensure the best fit. The experienced staff can work on virtually any make or model and provide friendly, exceptional exhaust service.